I have always enjoyed the flavour of lychee, which is not a common fruit in Japan at all. 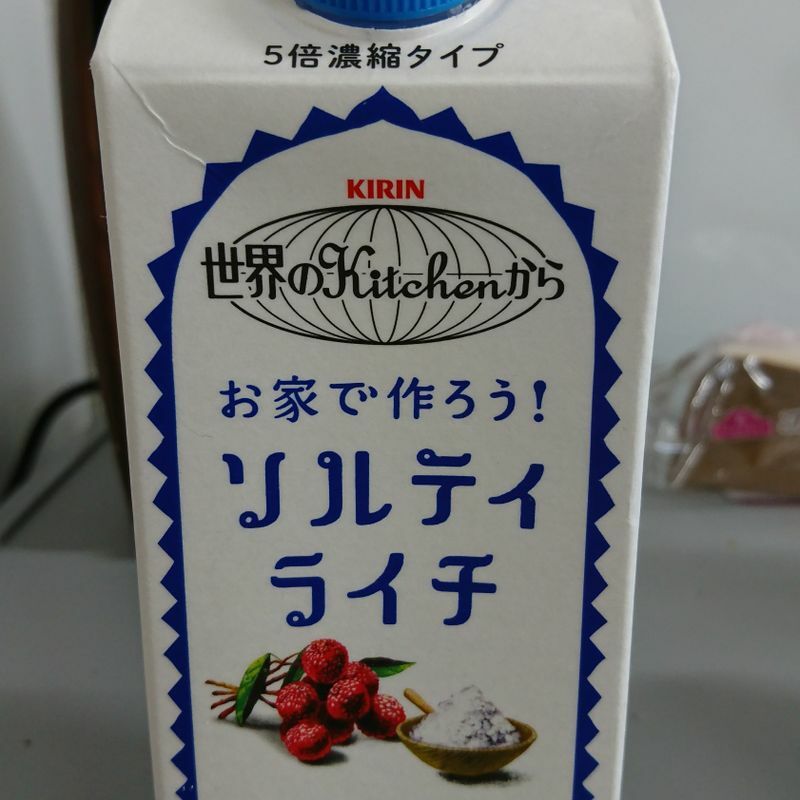 My favourite lychee product in Japan is the salty lychee drink, which is more commonly found during hotter days and it is a good way to stay hydrated. When it gets warmer, give this a try! Salty lychee is so refreshing, and it replenishes the sodium you lose through sweating. Like you, I think about resource use. A small pack of this drink mix saves a lot of PET plastic bottles if you prepare it in your own container.